The Horizon Adventure 3 Treadmill is On Sale! The Horizon Adventure 3 treadmill is a really nice option if you are able to increase your budget to $999. This machine is suitable for a walker or runner and includes higher quality features like a digital drive system, a comfortable running service, and the ability to connect to a virtual course on your TV. It also received “Very Good” ratings for all categories by a prominent consumer magazine. This includes construction and exercise range. We tested this machine at the Johnson Headquarters (the parent company) in Cottage Grove, WI and were overall impressed with the options available at this price point. 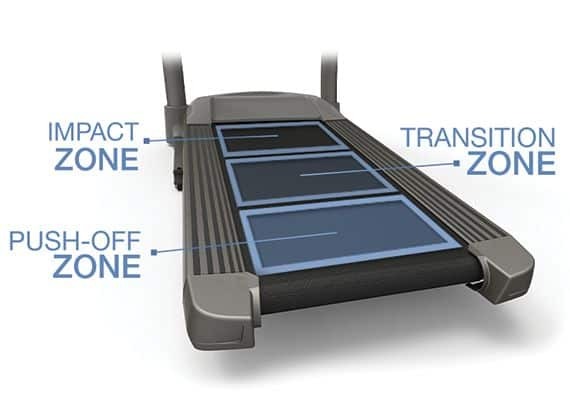 Technology and inter-connectivity are the new focus of treadmills. Horizon Fitness has made some impressive innovations in this arena with the introduction of the Passport Ready system and ViaFit. These features will enhance your workout and assist you in achieving your fitness goals. This is the same company that builds premium brand Vision Fitness and the a top commercial brand Matrix Fitness. ViaFit — The ViaFit system from Horizon Fitness truly impressed us with its ability to integrate the workout data from a variety of sources into one easy-to-use app. Data from your workouts is stored on your ViaFit account accessible online or from your smart device. Unlike some of the competitors’ programs, this system is fully integrated with other apps you have to track your fitness and nutrition (like MyFitnessPal and MapMyRun). With the ViaFit app, you can define fitness goals like number of workouts, calories burned, amount of time exercising, or total distance. As you workout, the app will track your progress towards your set goals. With the X-Capture technology, you can even complete a workout on an unconnected treadmill, say during vacation, and then take a photo of the workout statistics on your phone. The ViaFit software will automatically extract the information to include on your workout log. The main benefit of ViaFit is that it allows you to keep better track of your workout data, nutrition information, and overall activities so you are more likely to reach your fitness goals. Best of all, compared to similar programs from the competitors, ViaFit is FREE! Passport Player— This feature allows you to simulate running outdoors through famous landscapes. Your Horizon Adventure 3 treadmill can connect to your TV and provide high-definition destination footage displayed on your large screen which is synced to the speed and intensity of your workout. You have to purchase the Passport box at an additional cost. 2.5 CHP Johnson Drive System Motor — This is a standard size motor for this price range. Horizon has quality motors that rarely have mechanical issues and are fairly quiet. Since this motor can reach peak performance at a lower RPM, it is able to stay cool without the addition of extra cooling fans. The motor can adequately accommodate walkers and joggers. The motor is operated under a digital drive system to provide quick speed response and smooth transitions not possible with analog motors. Display – A 5.75 Extra-wide Yellow-Green LCD display is easy to read. 20” x 55” Running Surface— The 55” is sufficient for most users. If you are very tall and plan to jog on your Horizon Adventure 3 treadmill you may find the larger Adventure 5 model to be a better fit with its 5” of additional length. 175 Lbs. Unit Weight — The Adventure 3 is heavy enough that you’ll find it is very solid and stable. Feather Light Folding – This foldable treadmill can easily be folded up to provide additional space or easy cleaning under the deck. When released, we like that the deck descends slowly and safely to the ground. Variable Response Cushioning on the Horizon Elite T7. Speakers and MP3 Compatibility — You won’t get the sound quality of your home system, but it is adequate and the sound is pointed directly towards you. 5 Installed Programs — There are programs for Calorie, Distance, Intervals, Manual, Step. Variable Response Cushioning — The surface of the Adventure 3 Treadmill is modeled after the varied cushioning in a runner’s shoe. The front impact zone of the running deck has thicker cushioning to provide shock absorption. There is medium cushioning towards the center and a firmer base towards the back to provide a firm push-off area. Warranty – Lifetime Frame and Motor, 3 years on parts, and 1 year on labor. 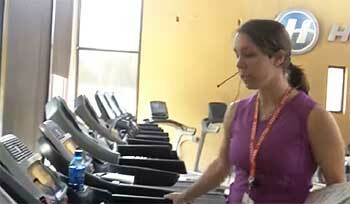 Team member Rachael taking a look at the Horizon Adventure 3 Treadmill at company headquarters. Horizon has always offered quality treadmills, but with the addition of the ViaFit and Passport features, they are even more appealing to those who want interaction, motivation and distractions as they walk or run. We would recommend the Horizon Adventure 3 Treadmill for both walkers and joggers. This is not a heavy duty treadmill, so the 300 lbs. user capacity is a bit excessive. We would put it more at 250 lbs. It is a great option if you are a casual runner looking for a machine to keep in shape and train for a 5K or 10K race. If you are an intense runner looking for serious training, you should consider the Horizon Elite T7-02, Elite T9-02, or Elite T5 instead. 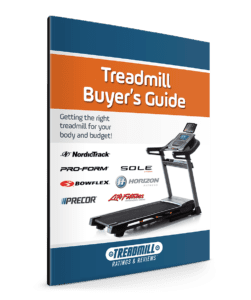 If you are looking for a treadmill that is reasonably priced, has interactive features, and a reputation for being low maintenance, then the Horizon Adventure 3 treadmill should be a consideration.